from an original leader in turnstiles for over 10 years. reliability, and security for lobbies and entryways. good, but is fast, economical, and tirelessly accurate. 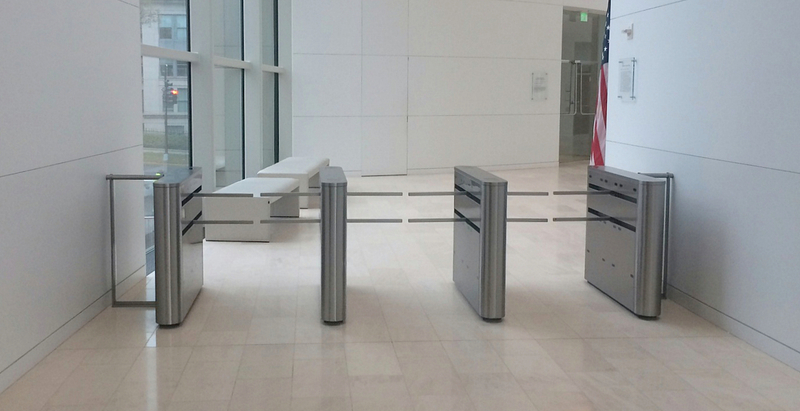 For over a decade, Delta Turnstiles has been designing and manufacturing optical turnstiles in the USA for the most prestigious organizations. 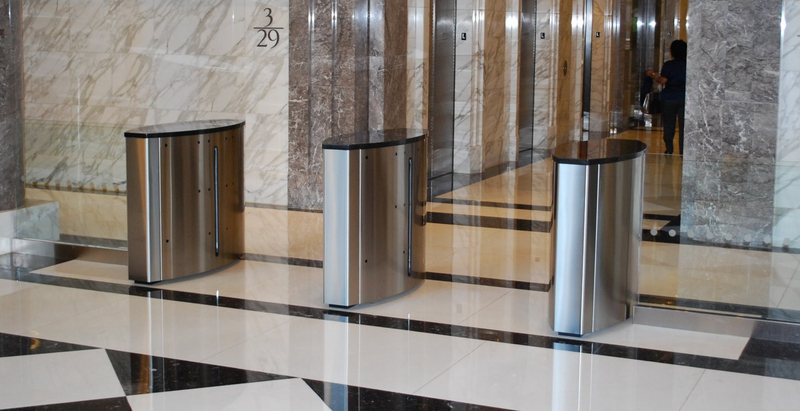 To meet the highest quality, reliability and performance expectations, the Delta line of optical turnstiles reflect input from security consultants, access control dealers, integrators, architects, and end users. As a compliment to a sophisticated access control system, Delta’s focused line of architecturally designed products are customized to perfectly compliment your building's interior decor while creating a safe, secure and welcoming space. Delta believes that the turnstile should compliment your lobby, and not the other way around. We are proud to offer premium solutions for lobby and entryway security, increasing your level of security while saving you money. 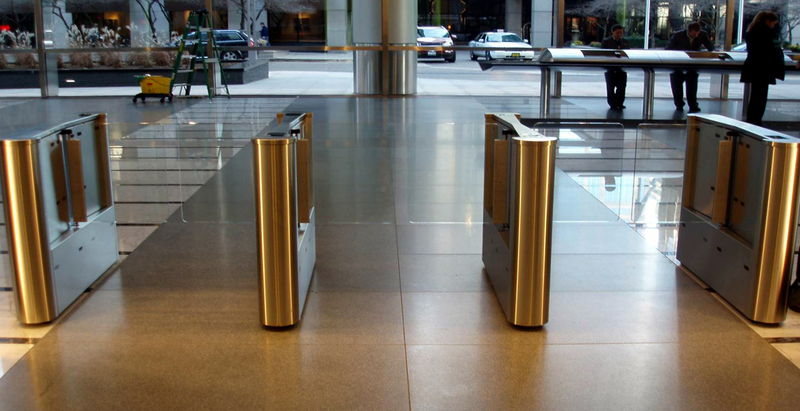 Our optical turnstiles protect hundreds of lobbies nationally without compromising on their architectural design integrity. We invite you to request a complimentary design review of your application without any obligation. We have over a decade of experience designing, manufacturing and supporting solutions in the USA for Class A building lobbies, university campuses, corporate offices, government buildings and more. We design and build in the USA for demanding and continuous use environments, while providing maximum uptime, exceptional performance, and a long service life. Our turnstiles maximize the return on your financial investment with turnstiles produced here in the USA that deliver speed, accuracy, and reliability with virtually no maintenance cost. 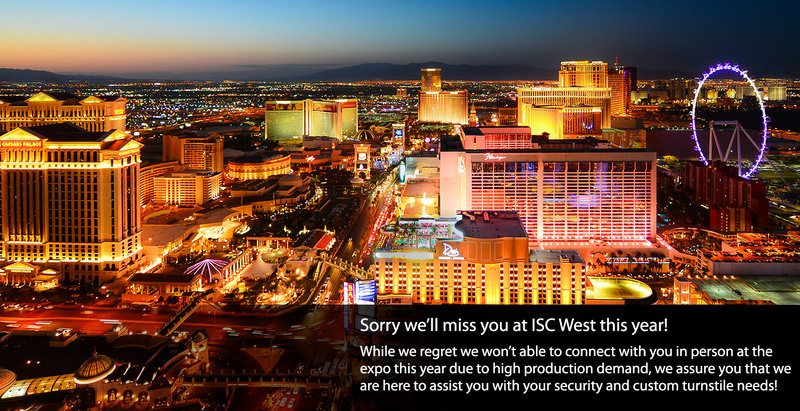 We configure a product solution based on a detailed assessment of the site and organization needs that include security, safety, performance, and style considerations. Our products reduce the cost and complexity of site installations, insure easy integration with existing access control systems, and simplify end user operation. We don't outsource our support. We provide expert USA-based pre-purchase support, start-up support, and ongoing support services for the lifetime of your turnstile.